Does anyone have an idea the exact date of mfg of this bike? Welcome to the forums.In my experience, Bridgestone bicycles like yours (i.e. having the "Guaranteed World's Finest Precision Bicycle Mechanism" decal and fork reflectors) tend to be circa 1972. However, the serial number should tell us the exact manufacturing date. 7 speed bicycle in 1972? Hmmm. 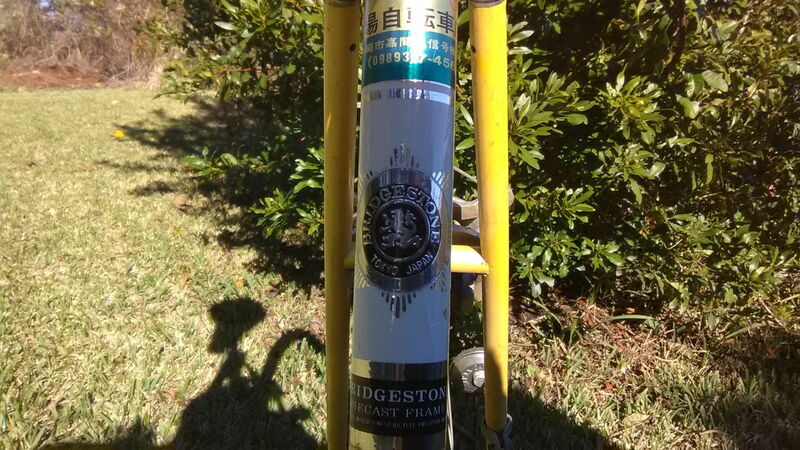 "Bridgestone Bicycles Tokyo, Japan". I have seen this label on Bridgestone models Altair, Antares LDT, Regulus, Spica, and Triathlon. To get 7 speeds, the OP is adding the number of freewheel cogs and chainrings, instead of multiplying them. It's a boom era 10 speed. Does it have detailed, cast lugs and a "TECHNART" sticker on the upper seat tube? Not exactly a lightweight, but you're right; it rides smooth as buttah. To calculate all the possible gear combinations, multiply the choices up front by the choices out back. 2x5=10. Or to put it another way, (1x5) + (1x5)=10. Last edited by Hudson308; 12-07-18 at 01:34 PM. 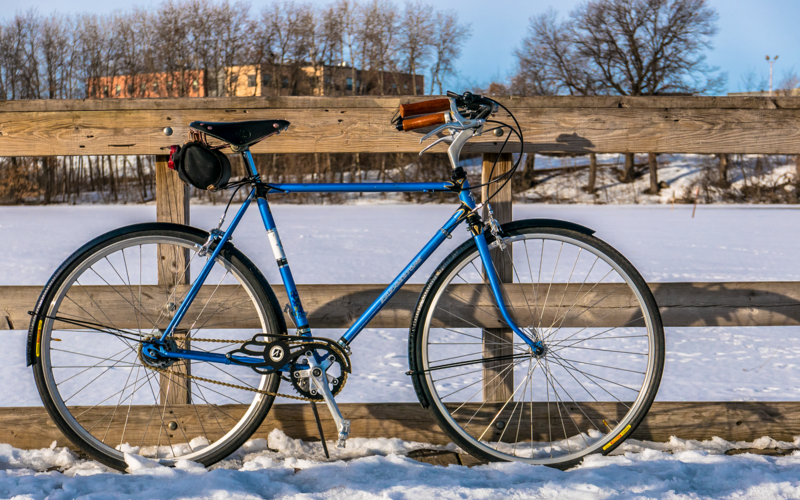 The O)P's bicycle is pre-Technart, which is the name Bridgestone used in the late 1970s. Prior to that, they were called Diecast Frames, though the technology was the same (i.e, aluminum lugs diecast around plugged and flared tubes). 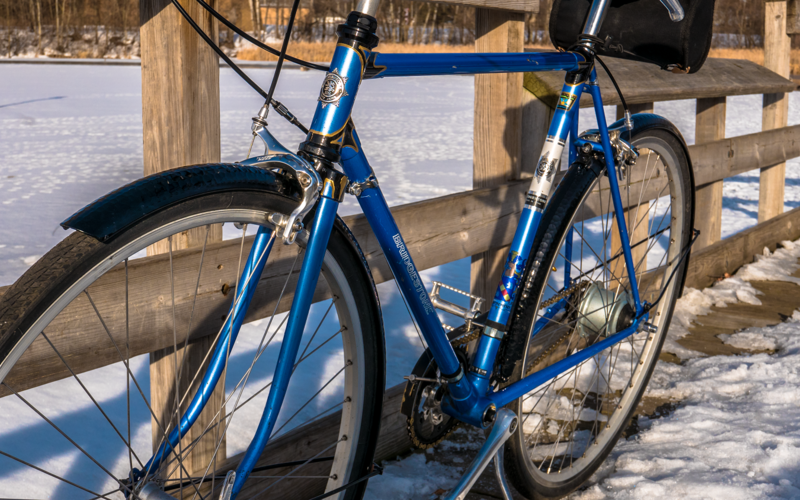 The OP's bicycle has the distinctive diecast lugs and BB shell, though the head lugs don't have the faux windows of some later Technart versions. Based on the serial number, the OP's frame was manufactured in February 1974, a couple of years later than my original estimate. Bridgestone's model names tended to be the same as the Kabuki models which they manufactured for the USA market, in which case the OP's bicycle would be a Super Speed model. Wow! Those are fighting words in the C&V universe! Truthteller, welcome to C&V and thank you for posting about your Bridgestone. However, not all bike related websites are equal, especially when it comes to vintage and older bicycles. When someone posts a statement like the above, "10- and 15-speeds are obsolete..." is no different than saying a three speed manual transmission in a '71 Volkswagen Bug is obsolete. If the vehicle still runs and is road-worthy, it is not obsolete. 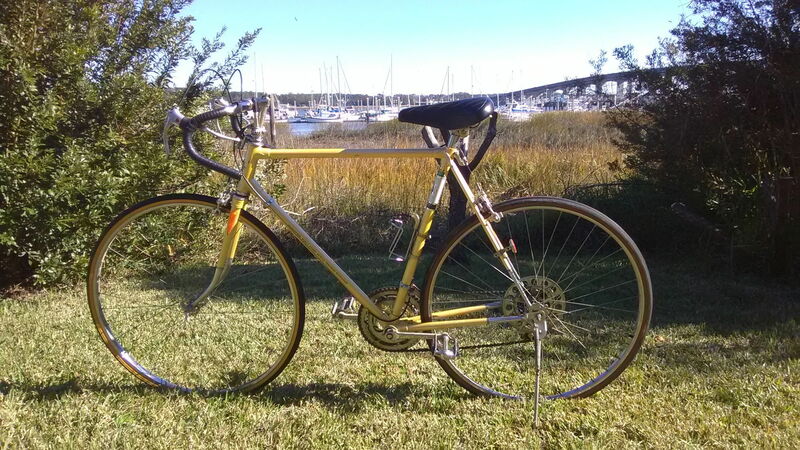 The fact that you still ride and enjoy your 1974 Bridgestone, with it's 10 speed (5X2) transmission, proves it is not obsolete. Plus, there are thousands of members here that are thrilled that you still ride your old Bridgestone! Keep it rolling! Well, that was so obvious from the pictures in the original post. I don't know how I missed it. Did you understand the response re: the number of gear ratios you actually have, or did you just presume that you were correct when you wrote that (the line about Math 101, 5+2 is 7, class)? People were eagerly assisting you, and the arrogant attitude back was less than cool. Way, way back on occasion a customer of the shop wanted to know how to "learn the gears". It could get to be a treacherous conversation. Some understood that the extreme cross chain positions were not terrific for wear and that frequently the ratios were nearly or exactly duplicated elsewhere. Then some got upset that they wanted a TEN speed, not an 8 or distinctly 7 speed as measured on the gear chart. Some of the early American Eagle then Nishiki brand bikes took a slightly different route, as they used Suntour mechanisms and with a long cage that could shift a 14-32 or even a 34 well, those bikes arrived with fairly small teeth variations of the chainrings, the "half step" scheme. Some got it, others did not really want to learn how to manipulate BOTH levers. "Comfort" brake levers and different saddle, kickstand additions made a low profit margin bike sale more tolerable for the shop. The French bikes almost always scored on handling, the Japanese on features or ease of shifting. Last edited by repechage; 12-09-18 at 10:21 AM. Here is some education for you. There are freewheels and cassettes with 7 gears, also known as 7-speeds. These did not exist in 1972. 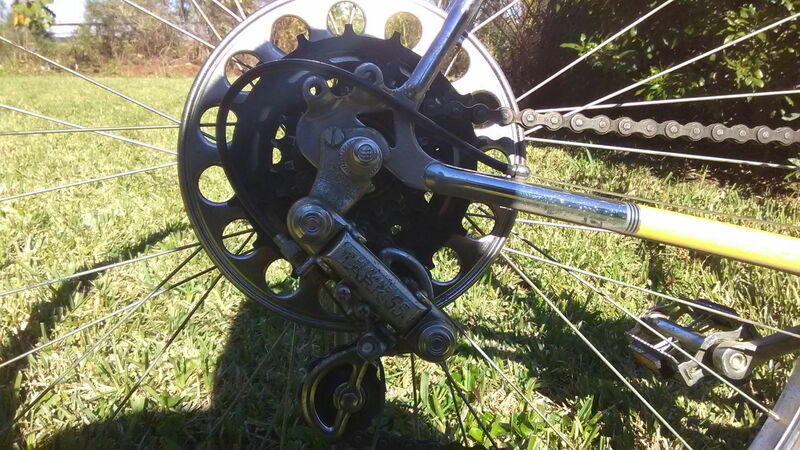 That is what I was wondering about in my post, how can a 1972 bicycle have a 7 speed freewheel. Next time you start a thread you may want to consider including pictures for everyone to see. It will be less confusing to BF readers. Yes, I know, you need to have ten posts before you can include images.